WASHINGTON — It’s not easy being green but out of 100 cities nationwide, analysts named D.C. the sixth greenest city in the United States. All top three cities are in California and the top 10 is dominated by the West Coast, with the exception of D.C. and Honolulu, Hawaii. The analysis was conducted by WalletHub and considered a variety of criteria. The metrics included the environment, transportation, energy sources and lifestyle and policy. Each criteria was weighed differently and included several subcategories. To calculate a score for environment, for example, analysts looked at median air quality, greenhouse-gas emissions per capita, percentage of parkland and water quality. Of all the criteria, environment was weighted most heavily with lifestyle and policy weighting the least. Analysts used data from an amalgam of sources, including from the Census and Environmental Protection Agency to Yelp and BikeShare.com. The study also scored each city according to each individual category. D.C. came in second in lifestyle and policy — which looked at aspects like the number of farmers markets, community gardens and “green” job opportunities — but fell short in the environment category, coming in at 31. 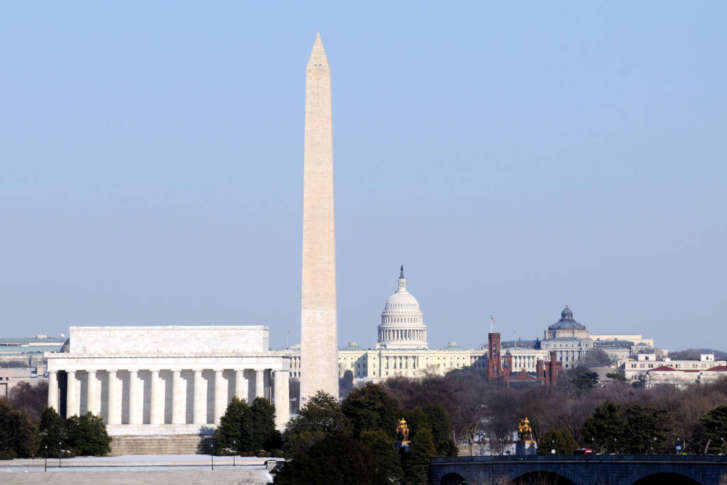 Perhaps most interesting of all, D.C. ranked No. 5 out of 100 for transportation, which looked at the number of commuters who drive without carpooling and average commute time. Chesapeake, Virginia, came in at 20 overall but had one of the lowest scores for walkability. A map included in the study provides a visual ranking, with purple spots indicating green cities and turquoise indicating the lowest scoring cities. The full study including sources and methodology can be found here.